From Goodreads: Fighting for survival in a shattered world… the truth is her only hope. 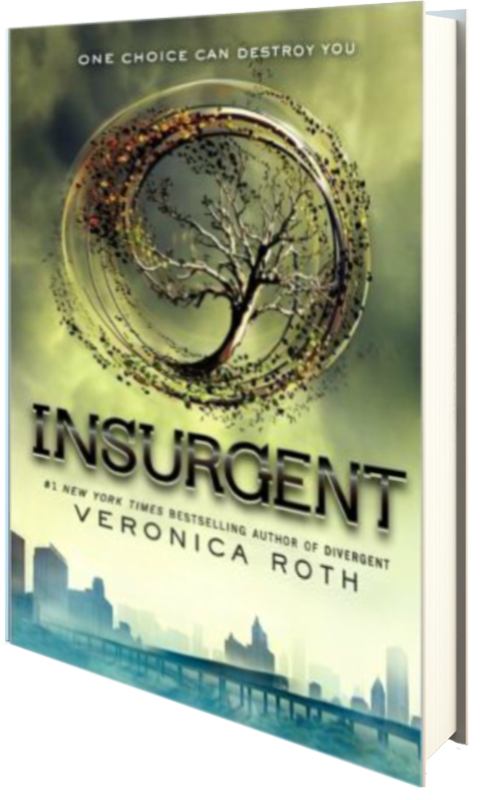 I really wanted to like this novel, I really did, but sometimes sequels just don’t do anything for me, and that is the case with Insurgent. This entire idea of factions is really intriguing, but I lost interest fairly quickly in this second novel, and I’m thinking I probably won’t read the third (I already know what happens thanks to my students). It’s just a too long for me, with too many characters, and the plot itself gives me a bit of whiplash. It’s extremely well written, and the story and characters definitely carry a presence, but whereas in Divergent,I was highly interested in the Divergent faction and their “dangerous antics,” I was not interested in Erudite, Candor, or any of the other factions that Roth focuses on in this novel. I also didn’t enjoy the lovers quarrel that seemed to be never ending in this second novel—I really like Four and Tris, but the whole “I don’t trust you” fight was just too… long. Truthfully, the novel was just too long in a number of ways, and I’m really just not that interested, even after the shocking conclusion and truth about the factions come out. Two and a half stars. I borrowed this novel from the library.